Wade Mittelsteadt was a Boeing engineer for 23 years. The 72-year-old Woodinville resident is logical, practical and inquisitive by nature. 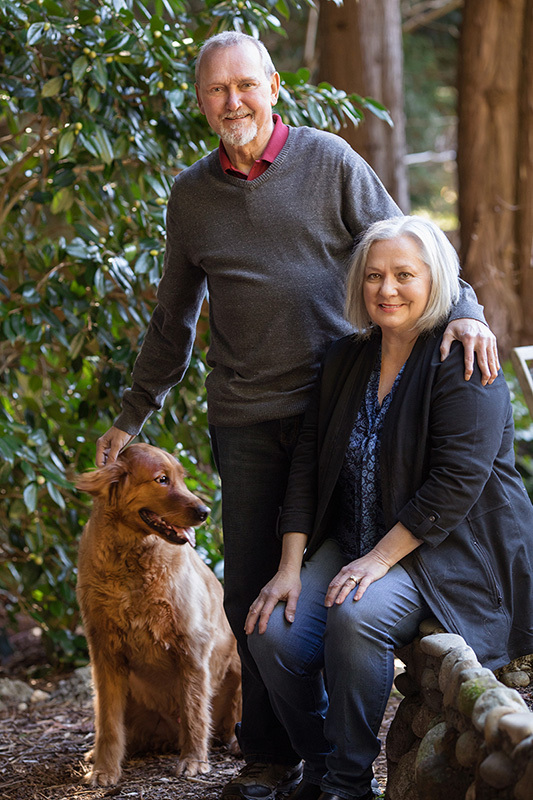 So, when he was diagnosed with early stage non-small-cell lung cancer in December 2017, those second-nature traits helped him and his wife of 33 years, Lisa, thoughtfully navigate their way to Virginia Mason – and minimally invasive thoracic surgery specialist Michal (Misho) Hubka, MD – despite originally being referred to another area hospital. “I feel pretty darn lucky,” Wade reflects. He and Lisa enjoy relaxing in one of their favorite places, their garden. After Wade was initially told it would take four weeks before for a surgical consult could occur at the other medical center, the Mittelsteadts were impressed when they were able to see Dr. Hubka for a consult just five days after being referred to him. Despite having an autoimmune disorder, scleroderma, and chronic obstructive pulmonary disease, Wade was able to benefit from video-assisted thoracoscopic surgery (VATS) to diagnose and remove his diseased lobe of the lung. During this minimally invasive approach, which is performed about 350 times a year at Virginia Mason, Dr. Hubka used a thoracoscope (small videoscope) and special surgical instruments to clearly see and precisely work inside Wade’s chest cavity through three one-inch incisions. The thoracoscope transmitted high-definition, color video images of the inside of Wade’s chest onto a monitor next to him, which helped guide Dr. Hubka in performing the two-hour procedure. The Virginia Mason Center for Lung Cancer Care’s team approach is one of the most rewarding aspects of Dr. Hubka’s practice. “Whether it’s the lung cancer coordinator who helps people navigate, our experienced and dedicated thoracic surgery nurses, the multidisciplinary tumor board or our clinical research efforts, it all combines to optimize our patients’ pre- and post-operative care experience and rapid recovery,” Dr. Hubka notes.